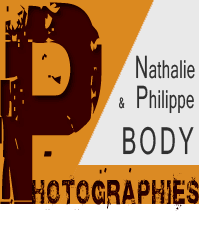 Welcome to Nathalie and Philippe BODY picture library. here are a few of our best pictures. All these photographs are available as fine art prints, numbered and signed by the author. Printed on 100% pure coton paper or decorative prints at an attractive price. On line purchase is fully operational. You choose format, support and size on line, pay and get your prints delivered at home. more than 10 000 pictures of professional quality, searchable by key word or thematics. Registered and approved customers are allowed to download hifgh-res files. In order to get high resolution files, you must first register and contact us. Once we agree on terms and conditions, a access to high resolution files can be granted to you. If you don't want to register or are not a regular and approved customer, here is the way to purchase a faw pictures, pay and get your high resolution files : save the pictures you like in a new lightbox. Then click on "Request a quotation for this selection..."
you can search images by keywords or throughout galleries and sub-galleries and keywords inside a specific gallerie or the entire archive. Collections of our best shots on specific destinations are available too (best-of). files up to A3 size / 300 dpi are readily available by simply clicking an icon above the picture. But you must have a professional access. If you wish so, please register and send us your profile. We"ll contact you to see how we can work together. Requesting a quotation : you want to purchase one or several picture in high resolution. Just add them to your lightboxes and click on the link below the picture. In the opening window, please precise the final use of the photographs. There sould be prices profiles available very soon. We are shooting, keywording and uploading new pictures daily, so if you don't find the right image. please contact us, it might be in stock. Note that before using any of our photographs, you have to previously get our authorization.